James Min is based in Colliers International’s South Bay office, ideally located to serve all of the markets in the Los Angeles Basin, which includes Los Angeles and the neighboring counties of Orange, Riverside, and San Bernardino. In addition to serving his own clientele of high-profile local and international investors and companies, Min collaborates frequently with Colliers’ brokers both regionally and nationwide, acting as a liaison to Korean companies and investors for Colliers International. Working in conjunction with other Colliers' brokers, Min is successful at delivering effective marketing strategies and tactics to Korean investors and companies. Min’s specialization lies in two distinct areas. He is an industrial leasing and sales specialist in the South Bay submarket within Los Angeles County. 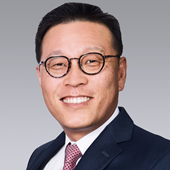 Additionally, as Senior Vice President of Korean Corporate Solutions, Min focuses on a niche specialization in Korean Marketing for commercial properties. His strategic location in the Greater Los Angeles area - an important gateway to Asia - and his expertise in Korean Marketing have allowed him to corner the market and cater to Korean investors and companies throughout the U.S., Canada, and Mexico. Prior to joining Colliers International, Min gained a solid background in international marketing as a long-time executive at Asiana Airlines. During his 14-year tenure with the Airline, Min played a substantial role in its operations, most notably spearheading the merger and acquisition of Asiana’s catering division and ground handling. In his progressively senior positions with Asiana, Min established successful sales and marketing strategies.